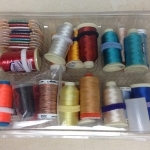 We can’t sew or quilt without thread. 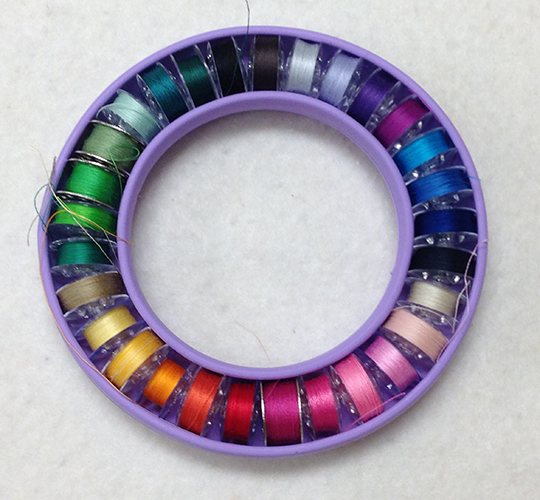 I have a few spools of thread and I like to have them organized, out of the light and protected from dust. 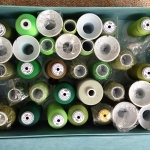 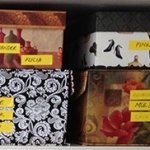 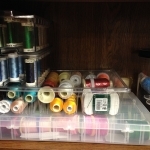 Here are some of the ways I store the few spools of thread I have. 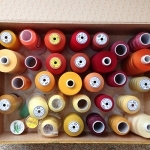 Empty bobbins stay in a small drawer. 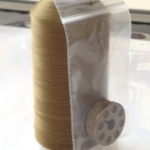 I place the bobbin in a small bag. 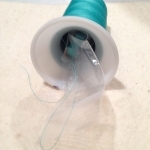 Then place the bag inside the cone. 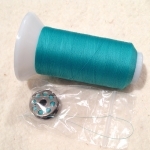 Or use a pin to hold the bag onto the spool. 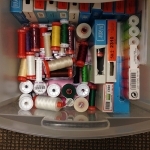 Some of the boxes have too many spools and some spools will have to go upside down. 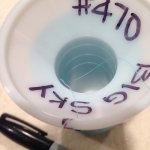 To be able to know what color it is I use a sharpie marker and write on the bottom of the spool. 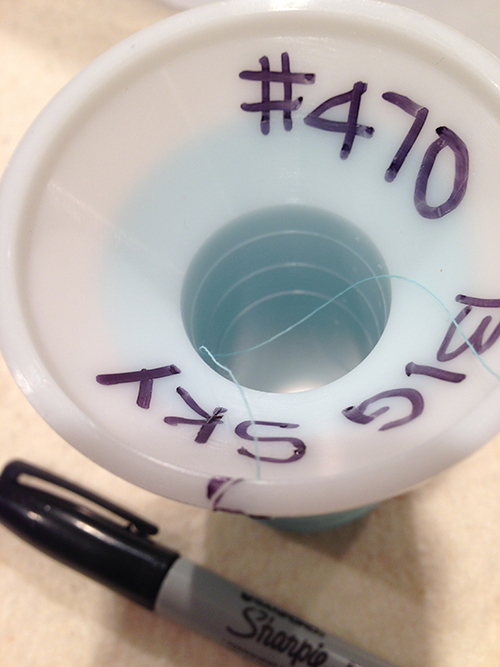 I also use a sharpie to mark the place that holds the end of the thread when the spool is not being used. 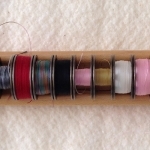 Black marks indicating where to lock the thread tail. 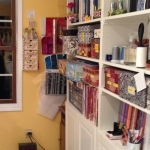 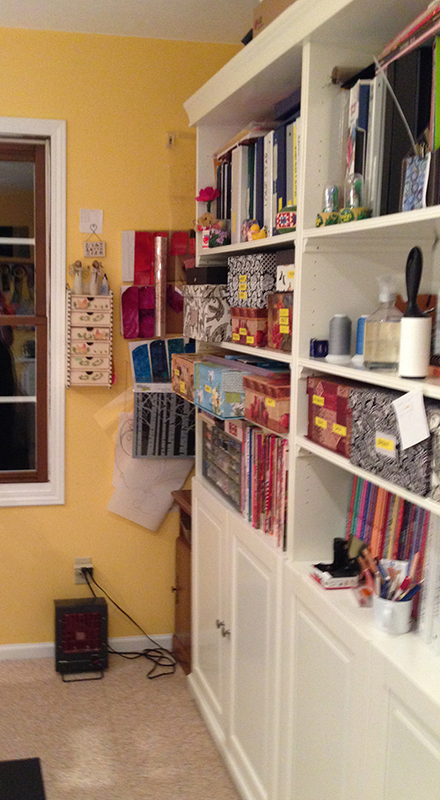 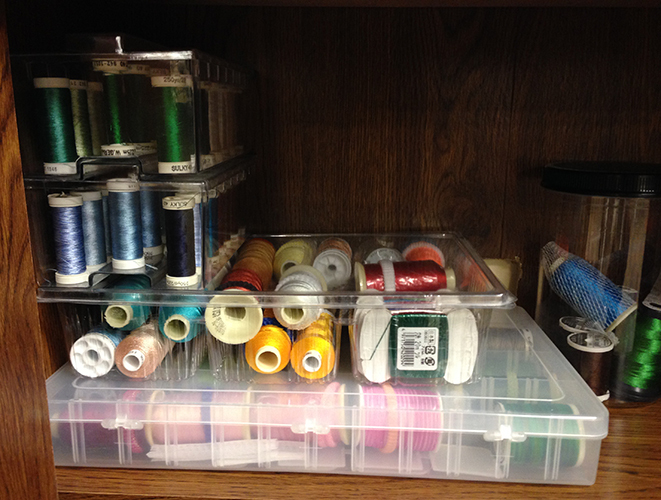 Other threads are stored in the sewing machine room in a cabinet with doors. 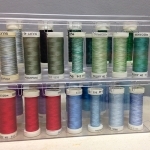 These other ones are actually designed to store small spools of thread. 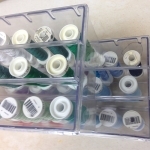 They also have lids and are designed to be stacked. 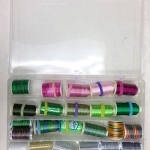 I use them for embroidery thread that is used for quilting or machine applique. 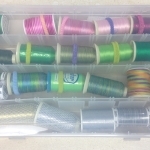 And then there is that other drawer, the one that holds the thread for the patchwork. 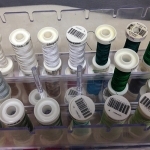 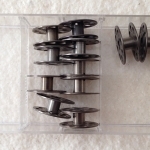 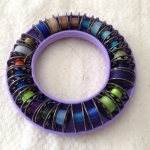 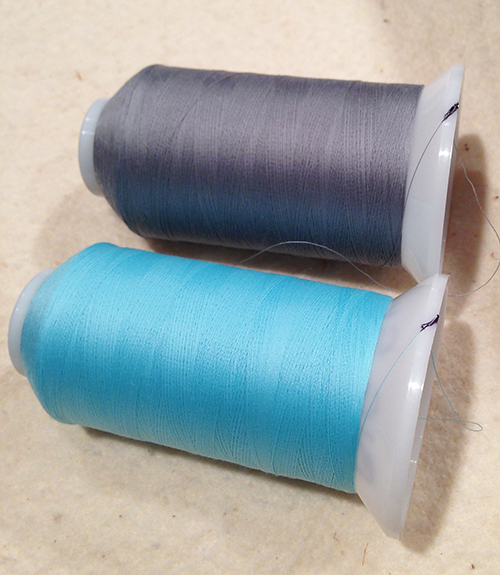 I use different color of bobbin holders for my different sewing machine. I also have a bobbin holder with bobbins filled with thread for hand applique. 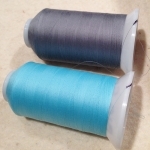 You can buy these already filled up but I decided to buy inexpensive bobbins that can be wound in one of my machines and filled the bobbins with the thread that I already had. 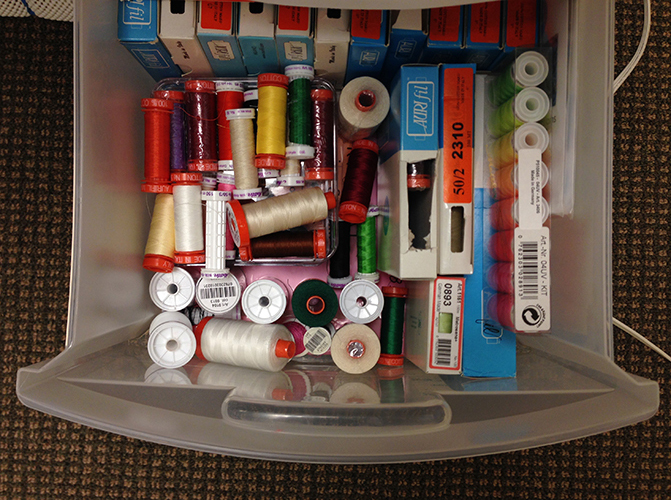 This is easier than transporting several spools of thread.